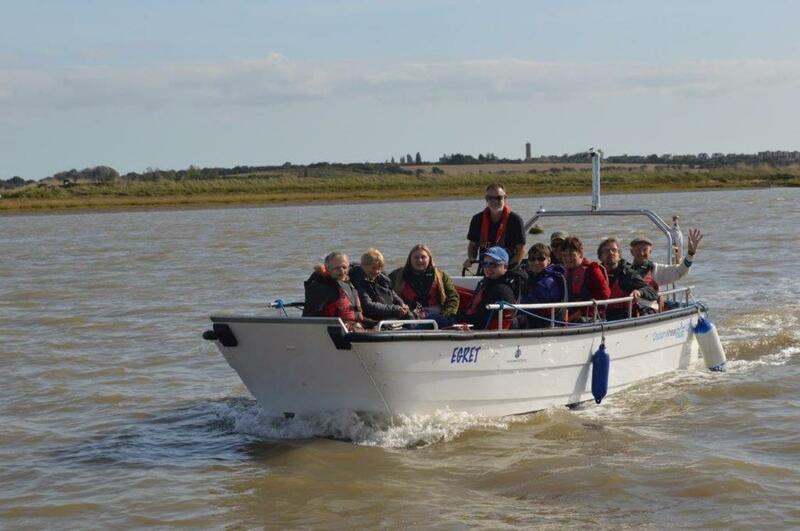 A couple of weeks after the trip up the Deben in late September, we took the Wheelyboat round to 'Secret Water'. Arthur Ransome's book Secret Water was published in 1939 and was set in the Walton Backwaters. Ransome himself used to sail the area in the Nancy Blackett and so used it as a location for the eighth book in the Swallows and Amazons series. 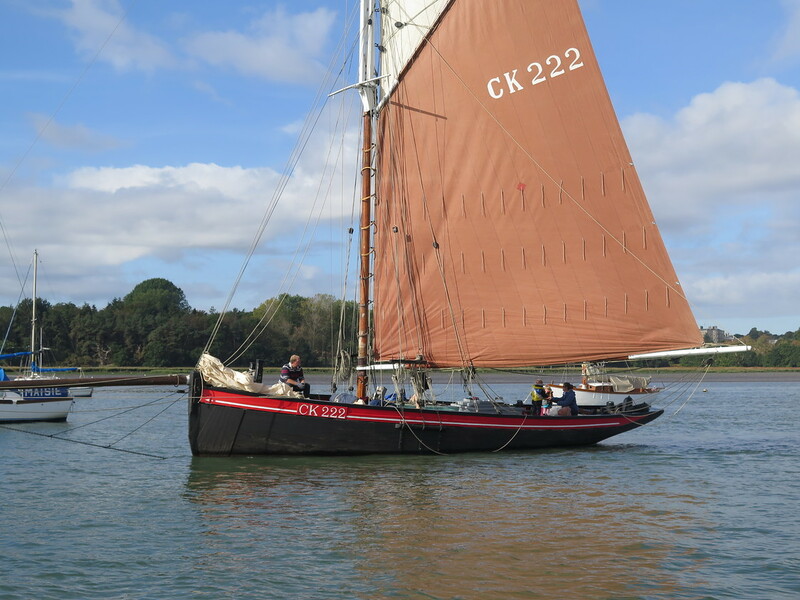 The Nancy Blackett has a starring role under the name 'Goblin'. Once there we loaded up and set off up the Walton Channel. Near Stone Point we met up with Samphire of Hamford and Tony and Christine acted as expert pilots for us for the trip. 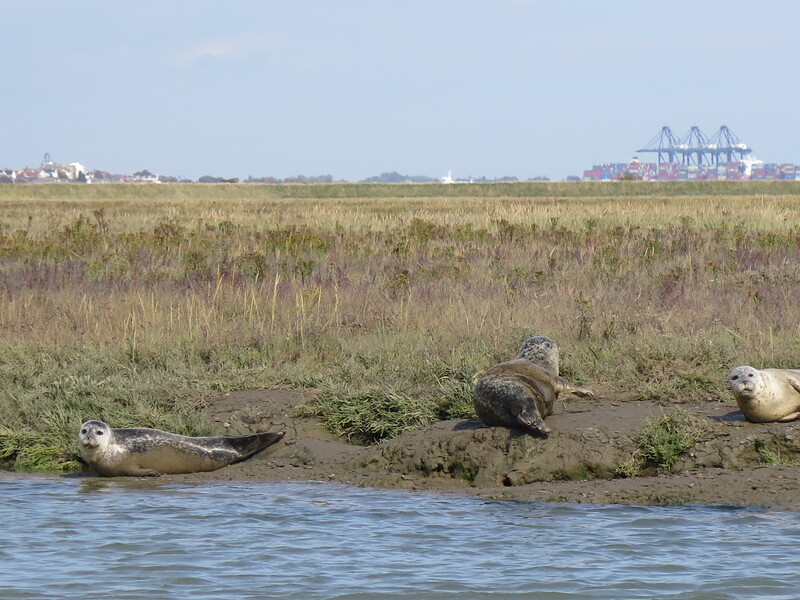 From the Walton Channel we turned into Hamford Water and then up Oakley Creek and Bramble Creek to see the seals. We got an excellent view of them as we drifted past them engineless (deliberately!). From there we headed down Kirby Creek and across the Wade (or the 'Red Sea' as the Swallows named it to complete our circumnavigation of Horsey Island. 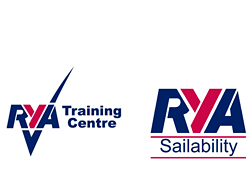 An excellent day out and many thanks to the volunteers who helped out and also to Titchmarsh Marina for once again hosting us for the day.